Are you concerned that your child has a limited diet? Does trying to trick them or outlast them not work? 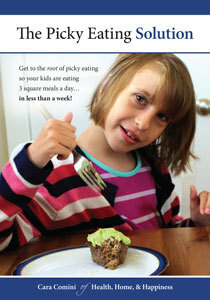 I'm going to show you how you can turn around picky eating in UNDER a week using foods that your children already like! * Watch immediately, link will be emailed to you. Success! Now check your email to confirm that you want to watch the webinar.